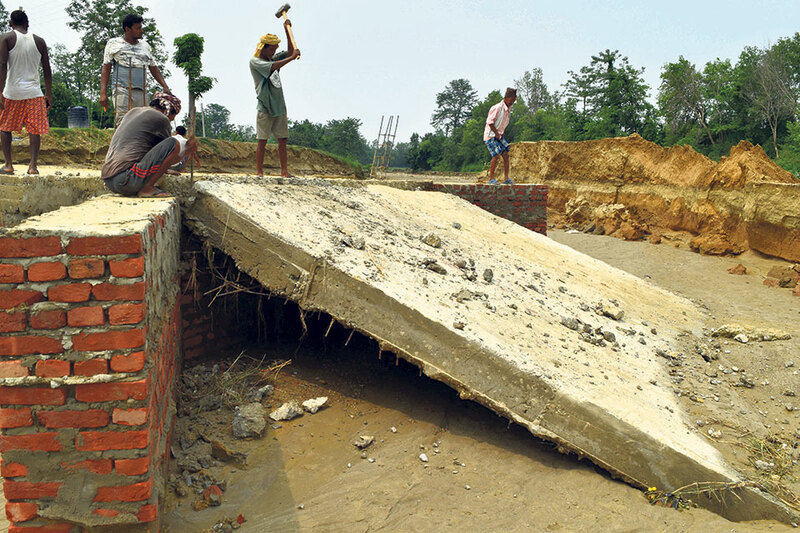 SIRAHA, June 27: A causeway over a lake near the Chure jungle that links around a dozen of villages has collapsed in just 10 days of its construction. ‘Mainabatti Model Causeway’ at Golbazar municipality – 2, which constructed 10 days ago, collapsed after failing to withhold Saturday’s rain. Locals are protesting and terming that it is due to the tendency of implementing development projects in the last minute. “They have to show that they have completed the tasks assigned to them. In doing so, they never care about the quality of their work. Even the government officials don’t evaluate the quality of the work done by contractors due to the rampant corruption,” accused a local, Ramdayal Mahato. “You can find such last minute construction of development projects everywhere around the country. It is not so only here. Contractors start working at the last moment and haphazard construction cannot deliver quality work,” he added. He claimed that contractors resort to the practice of rushing the completion of projects near the end of fiscal year (mid July) to escape monitoring. As the new fiscal year begins from July, wrapping up construction of developmental projects at the end of fiscal year makes it easy for contractors to get away with sub-standard work, he said. “If you do it at the end of the fiscal year, no one will ask you anything no matter how poor the quality of your work is,” said another local requesting anonymity. “Most of the construction works in our country meets the same fate,” he added. 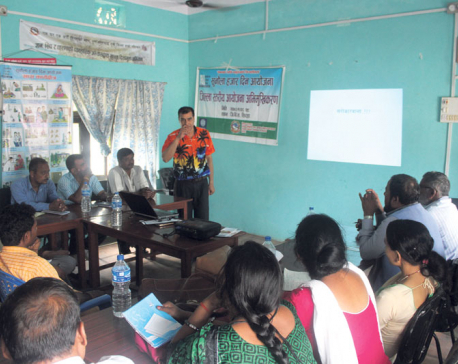 The local consumer committee was constructing the causeway, funded by the President Chure Tarai Madhes Conservation Development Board. Funding for the project was approved three months ago and agreement to build it was signed last month. “They started construction of the causeway only ten days ago. I don’t understand why they waited so long and why did they do such a sloppy work,” fumed Mahato who saw the causeway collapse. “It is something that would have connected people of over 12 villages here,” he added. The consumer’s committee is constructing it at the cost of Rs 4.5 million. President of the committee, Tara Bahadur Sunar, claimed that the whole committee was surprised to see the causeway collapse. “We are surprised too. It was being constructed as per the guidelines of technicians. It is shocking to see that it collapsed so easily,” said Sunar. Project’s engineer, Ram Kripal Chaudhari, blamed heavy rainfall and incomplete construction of the causeway. “Construction of the causeway was not completed. The concrete was yet to strengthen and the structure collapsed not able to withstand the heavy rainfall,” he said.